For many years now, if anyone ever asked me to list my favourite directors, the name of French director Henri-Georges Clouzot has been likely to come up. And yet until recently I had seen only two of Clouzot’s films, The Wages of Fear and Les Diaboliques. However, in listing Clouzot I’m not being mendacious or pretentious. These two films are genuinely such masterpieces that their combined weight felt like enough for me to add Clouzot to my personal annals of great directors. Look at most synopses of Clouzot and it is those two films that will be mentioned immediately, occasionally even exclusively. This has also resulted in them becoming the most readily available, hence my familiarly with them over other works by the director. But it is to my shame that I have watched and rewatched this illustrious pair when I could have been probing deeper into the Clouzot catalogue and recently, somewhat belatedly, I’ve begun to question my wisdom in harping on about him when I’ve only seen two of his films. After all, the others could be horrendous, unremarkable or offensive for all I know. And, when dropping his name into conversation, I invariably mention The Wages of Fear and Les Diaboliques while neglecting to mention that I haven’t seen any others. Not being pretentious indeed! It was in the hope of lessening this cinematic deceit that I jumped at the chance to review the trio of newly-released Clozout Blu-rays from Studiocanal. Le Corbeau is a film that is discussed more often than it is seen. Well-known as the film that got Clozout temporarily (originally permanently) banned from filmmaking, Le Corbeau managed to upset critics of several different nationalities, religions and political affiliations. Part of the controversy stemmed from the fact that the film was produced by Continental Films, a German-controlled company. Clouzot’s association with them during the Occupation upset many people, although it stemmed from desperation for money and work rather than any ideological allegiance. 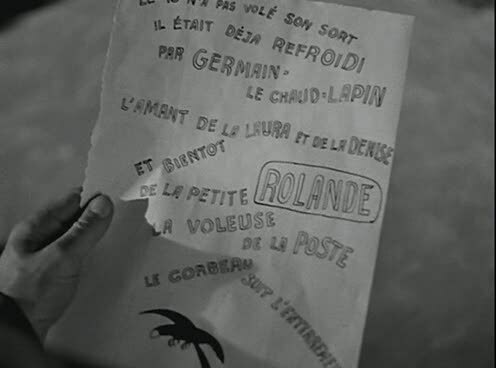 Le Corbeau’s depiction of a French town filled with corruption resulted in the Resistance and the Communist press accusing the film of being anti-French propaganda, while the German’s in turn disliked its negative depiction of a serial letter-writing informant, a practice that was encouraged as a way of informing on neighbours during the Occupation. The numerous salacious activities hinted at throughout the film also clashed with the puritanical values of the Nazi regime. Although it was an instant hit upon release, Le Corbeau was quickly withdrawn and banned and Clouzot was fired by Continental. Even watching Le Corbeau today, it is easy to see why it caused such a stir. For a film made in 1943 its content is extremely strong, featuring allusions to abortion, adultery, suicide, paedophilia and murder as the inhabitants of a small town are terrorised by an unknown letter-writer known as The Raven who seems to know all their secrets. Despite the film’s dubious origins though, there is nothing objectionable in the story, which offers a more complex moral conundrum than its critics, obviously reeling from the most cursory of face-value appreciations, credited it with containing. In the opening scene, which wonderfully implicates the viewer in the action with a POV shot of the town gates opening and an unseen entity passing through them, the town is identified in a caption as ‘anywhere’, immediately highlighting the universality of the story rather than associating it with any particular country or province. Although, in common with films like Fritz Lang’s M and Michael Haneke’s The White Ribbon, Le Corbeau focuses on a community rather than a particular person, the film features several excellent performances, chiefly Pierre Larquey as the droll Dr. Vorzet who gets the film’s most famous moment when he demonstrates the unknowable nature of good and evil using a swinging light bulb. This is the key scene in Le Corbeau, questioning the right of human beings to pass judgement on each other, an ironic message given the film’s eventual fate. As well as a fascinating philosophical debate, Le Corbeau also functions brilliantly as a character piece and a pure mystery film and it does deliver a conclusion to the central whodunnit but ultimately, just as the town could be anywhere, the real conclusion is that the film’s characters could be anyone and while the audience is lead throughout the film to nurture a hatred for the mystery antagonist, Clouzot’s final moments seem to call more for understanding. 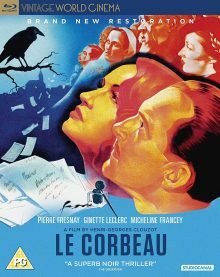 Le Corbeau may have fallen into comparative obscurity but it is a masterpiece that demands rediscovering. Way ahead of its time, the film may play better to audiences for whom its subject matter is not so unprecedented, allaying any risk of kneejerk moral outrage muddying their interpretive abilities. Its re-release is a cause for celebration indeed as the film’s greater availability may also lead to a wider critical re-evaluation, hopefully resulting in Le Corbeau taking its place alongside Clouzot’s aforementioned masterpieces as a more widely-seen work. Made a quarter of a century after Le Corbeau, Clouzot’s final film La Prisonniere emerged in a very different world. Its subject matter is every bit as risqué as Le Corbeau’s but by 1968 audiences had grown more sophisticated and filmmakers were working in an environment of greater freedom. 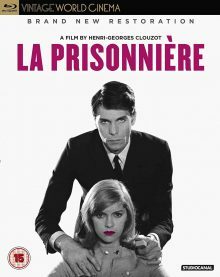 Hence, La Prisonniere’s tale of a woman’s obsession with a gallery owner’s sexual preference for submissive women (the film was also known by the title Woman in Chains) already felt like well-trodden ground that had been better explored elsewhere by films like Blow Up and Belle Du Jour. That is not to say that La Prisonniere is completely without merit. Clouzot’s screenplay is as open-minded and astute as his work on Le Corbeau, acknowledging that sexual preferences we may find alarming are not necessarily objectionable provided they are expressed within well-defined parameters. So La Prisonniere wrongfoots us immediately with images of Laurent Terzieff’s gallery owner Stanislas sinisterly manipulating a small model of a naked female. The film seems to be setting us up for a scenario similar to William Wyler’s The Collector, in which Terence Stamp kidnaps and imprisons Samantha Eggar for his own warped pleasure but ultimately Stanislas turns out to be arguably the most well-balanced of La Prisonniere’s central triangle of characters. La Prisonniere was Clouzot’s only colour film and there are moments when it is particularly beautiful. The early sequences set in the gallery offer some wonderful images as the exhibits create optical allusions that seem to place the characters in the midst of a psychedelic reality. This contrasts with the scenes in which Elisabeth Wiener’s Josee begins to be drawn into Stanislas’s sexual games, which are shot in a straightforward way. Clouzot seems to be challenging us to define what we mean by ‘normal’. Ultimately though, La Prisonniere becomes repetitive and dull, with Josee’s growing obsession spiralling out of control in predictable fashion, a disappointment given the realistic intensity of her initial tentative attempts to comprehend an area of sexuality that has previously seemed alien to her. La Prisonniere also falters in its unsubtle framing of these scenes with Josee working as an editor on a film about women who are accepting of their domineering partners. This is far too much of a coincidence and clumsily overstates Clouzot’s theme. The final straw is a climactic dream sequence in which Josee’s hallucinations become abstract and vivid. It is the most famous sequence in La Prisonniere and yet it is the worst, soiling a thoughtful meditation on the diversity of sexuality with a tiresome, hackneyed representation of encroaching mental illness that seems to be ripped from a student film. While the earlier visual flourishes of the gallery scenes felt organic, this desperate denouement feels completely tacked on. It’s always best to come to a film without preconceptions but, having previously read articles about both Le Corbeau and La Prisonniere, I got about what I expected from both. When I popped Quai des Orfevres into my Blu-ray player, I had no prior knowledge about it and that was exactly the way I wanted it. I didn’t know anything about the film’s plot, history or critical reputation and was looking forward to forming an opinion entirely independently. What ultimately happened shocked me. I came away having just watched what may now be my favourite Clouzot film of all. Quai des Orfevres was Clouzot’s return to filmmaking after his two year ban following the Le Corbeau controversy. Intending to adapt the novel Légitime Défense by Stanislas-Andre Steeman, Clouzot found it was out of print. Having written to Steeman to obtain a copy, Clouzot and his writing partner Jean Ferry began to adapt it from memory. By the time the book arrived, they had completed a screenplay which differed significantly from the actual novel but which they pressed ahead with anyway. Quai des Orfevres tells the story of aspiring music hall performer Jenny Lamour who will do almost anything to further her career, much to the chagrin of her jealous pianist husband Maurice. When lecherous old businessman Brignon shows an interest in Jenny, Maurice intervenes and breaks up a proposed meeting between Brignon and his wife by barging in and threatening him. When this doesn’t work, Maurice visits Brignon’s apartment with the intention of following through on his threats, only to find him already dead. With the persistent Inspector Antoine on the case, Maurice, Jenny and their friend Dora find themselves embroiled in the investigation. Although it has an intriguing but fairly standard crime movie set-up, Quai des Orfevres offers a richer experience than the average mystery thriller. Clouzot populates the film with his trademark cast of morally ambiguous characters and poses interesting questions to the audience such as whether getting there too late is enough to exonerate a man who intended to commit murder. The police, for their part, are hardly squeaky clean either and their forceful, unscrupulous tactics in pursuing their suspects almost end in tragedy themselves. 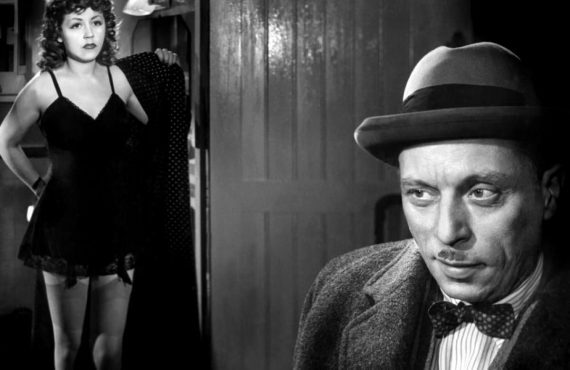 Clouzot also peppers the film with small touches that keep his characters’ human sides in focus, such as Inspector Antoine’s touching relationship with his adopted son, an element that many directors may have discarded as superfluous but which Clouzot recognises as crucial in enriching his story. 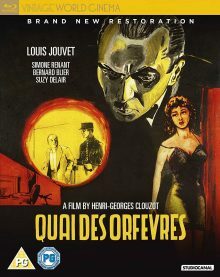 Quai des Orfevres is gripping throughout, its dark sense of humour and philosophical approach making it stand out significantly from other films of its kind. It’s a masterpiece that I can’t wait to watch again. In finally exploring the catalogue of Henri-Georges Clouzot beyond the two films I knew and loved, I’ve come away with two more amazing films, one of which may have even overtaken Les Diaboliques and The Wages of Fear as my favourite of the director’s works. I’d highly recommend these handsome Studiocanal releases to anyone curious about Clouzot and I hope to see more of the director’s work being made readily available in future. In the meantime, I can be at least twice as well informed the next time I list Clouzot among my favourite directors!